Shop > Blog > How to keep a lot after a course of steroids? Learn how, from a scientific point of view, how to administer steroids courses and which drugs and dosages to use so that the maximum effect remains after the course. Every athlete who at least once conducted the course AAS experienced the phenomenon of a rollback after its completion. During the reception of anabolic steroids in the body significant changes occur, affecting all systems, not just hormonal. Today you will learn what research says about mass retention after a course. This is a very urgent problem for athletes, because they want to preserve in every way the results that were obtained during the anabolic cycle. Let’s start with the question about the time of the beginning of the application of AAS. In the past century, most experts tended to the point that the later an athlete begins to use anabolics, the better. On the practical example of many athletes, it became clear that prior to the use of steroids, it is necessary to train naturally for about three years. Recent scientific studies on the topic of mass retention after the course have confirmed this assumption and experts say that anabolic steroids can be the most effective if an athlete gets close to his genetic limit. You must understand that all these three years of training must be active and you need to squeeze everything out of your body. Scientists say that in such a situation all methods of overcoming the state of the plateau have already been used, and they no longer work. This also applies to the use of various drugs that can not affect the hormonal system. We do not want to say that with well-designed training and nutrition programs, the athlete is not able to progress for a longer time without using powerful pharmacology. Moreover, while natural muscle growth is possible, this is exactly what should be done. However, the moment when growth stops and cannot continue is still coming. Not everyone is ready to accept the fact that the same biceps for the year increases in volume by less than an inch. If in such a desire you want to step over the limits measured by nature, then each builder has the right to independently decide to use AAC. However, once again we recall that before this, your body must show everything that it can. I would like to make a small digression from the main topic of the article and say a few words to those home-grown “specialists”. Which on specialized web resources are strongly advised to start using phosphatidylserine, HMB, or even regular creatine almost from the very beginning of bodybuilding. We will not recall that they often represent just those companies whose products are recommended to use. The question here is different, because beginners are beginning to prove. That with the help of natural training it is impossible to achieve good results. It is clear that many newcomers to bodybuilding in a year, or even earlier decide to switch to AAS. The “specialists” mentioned by us for some reason forget to say that the course also needs to be actively trained and the muscles themselves will not grow, even if steroids are used. Press from the chest in the prone position – working weight is 1.75 body weight. Squats – the ability to perform 10 repetitions with a weight twice the body weight. Pull-ups, wide grip – performing 6 repetitions with an additional burden of one-third of body weight. Chest presses in standing position – 6 repetitions with the weight of the projectile equal to the mass of its own body. 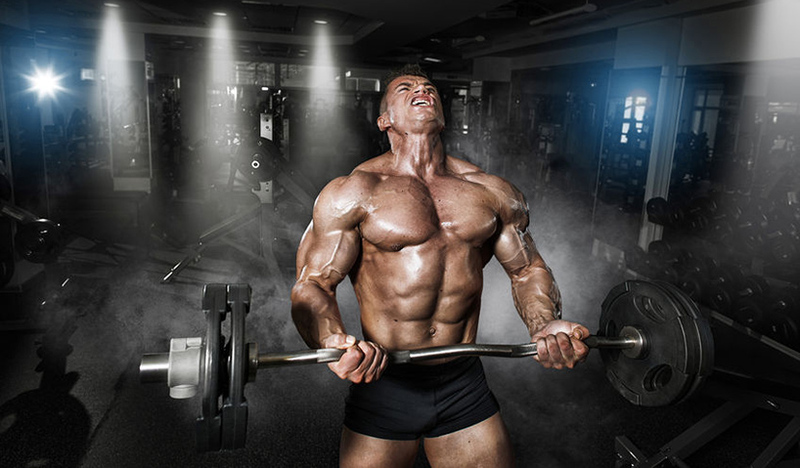 We are fully aware that bodybuilding has certain differences from powerlifting, but to increase the muscle mass, athlete’s power parameters are of paramount importance. If in the above movements you do not achieve the desired results, then steroids can not be as useful as possible. When deciding to start using anabolic steroids, you should first of all strive to improve or at least keep the balance between working weights and your body weight gained during physical training. The increase in muscle size, which is achieved through the use of sports pharmacology, must necessarily be supported by the growth of power parameters. Only in this case you can save most of the results obtained on the course. Simply put, you should be as strong as you look. Otherwise, anabolic steroids are useless and scientific studies on the topic of mass retention after the course of this fact are fully confirmed. You have to understand that the gained weight, which is not confirmed by sufficient force indicators, cannot be durable. As soon as the cycle is completed, over the course of several weeks most of the results obtained disappear. Today, bodybuilders are increasingly discussing the idea of ​​an eternal course. However, the reason for the emergence of such thoughts is the inability or unwillingness to properly organize the training process. Probably, you guessed that all of the above smoothly leads us to the fact that the basis of success are not steroids, but the training process. Courses should be conducted only if circumstances so require. Most of the workouts throughout the year should be natural. Overcoming the state of the plateau. To maintain muscle mass during the drying period. During the treatment of injury or to accelerate recovery after it. Athletes try to minimize the loss of muscle mass associated with the rollback effect using various techniques, for example, by changing the exercise intensity index. It is quite obvious that no means of training can be used to preserve the results that were obtained using, for example, 3-5 grams of testosterone enanthate during the week. However, no one in creating the AAS could even think of it. That modern athletes will begin to use these drugs in such huge doses. There is not much point in using a large number of anabolic steroids if everything is done correctly. Most builders believe that the higher the testosterone concentration in the body, the faster they will grow. As an example, professionals who use many steroids achieve great results. However, in practice everything happens differently and the first cycle is the most effective. Recent scientific studies on the topic of mass retention after the course proved that you can gain more weight and more weight than many professional athletes in the next cycle in the first course. At the end of the last century, scientists began to talk about the concept of “sensitivity androgen receptors.” All subsequent research on the topic of mass retention after the course only confirms this hypothesis.